Description: The book is crammed with information on health and cooking, and encourages men to discover the joys of cooking and good eating. About 150 recipes of all sorts. 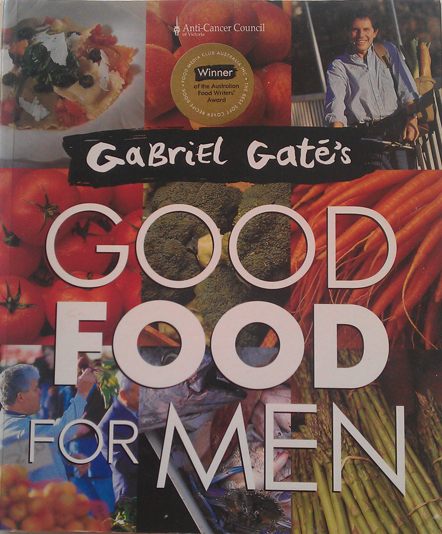 Winner of the Australian Food Writers' Award and first prize at the International Cookbook Fair at Perigueux, France. Actually it's the first cookbook which I purchased for myself. I guess it's my first introduction into the 'foodie' culture as well. I had moved away from my family and into a new job, although I was sharing accommodation with other guys and we where supposed to be sharing the cooking, most of them worked strange or long hours so we ended up cooking for ourselves mostly. 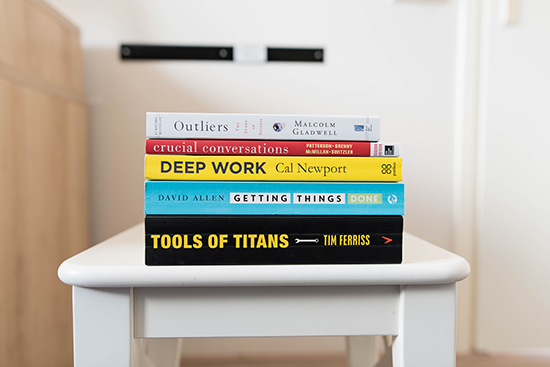 This book wasn't a new experience, I was able to cook, my mother had taught me that, but I was getting tired of the packet meals I was eating, fast food was too expensive to eat all the time and I was needing a change. My mother had posted up some of her recipes and suggested I eat more healthy. One day on my regular trip to the book shop this book seemed to jump out at me. 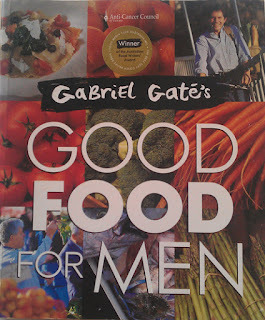 In the first few pages Gabriel was able to get me excited about food and some of the recipes had me wanting to cook them, even though some of the ingredients were things I never liked eating or had never considered, so I bought it and started my journey towards enjoying cooking. One of the best tips Gabriel gave in the book was to keep your own notebook. Jot down recipes which you like and notes on how you may have changed them a little. 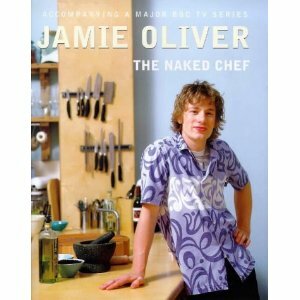 In the book he writes: 'My wife, Angie, had jotted down recipes I cooked when we first met twenty years ago. If she hadn't done this, we would have forgotten some of our favourite dishes of the time.' I took his advise and started my own notebook, I haven't added to it in years but I still like looking though it, I even kept some love letters my then girlfriend, now wife, sent me. 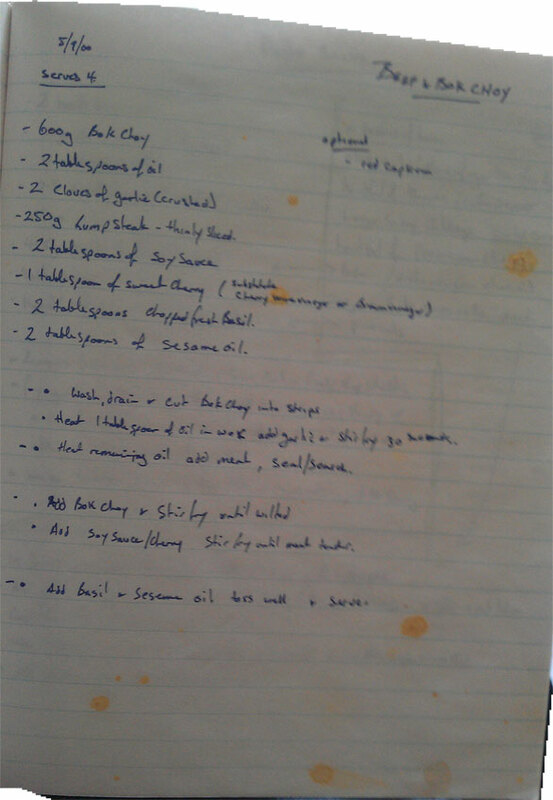 When I started this notebook it was nearly 15 years ago so the words from Gabriels' book are good words and good advise, there are some recipes in my notebook which I used to cook for my wife which we enjoyed back then but have not had in over ten years... ah memories, here is a favourite for me at the time and I remember embarrassing myself the first time I tried to show my girlfriend (now wife) how to cook it. 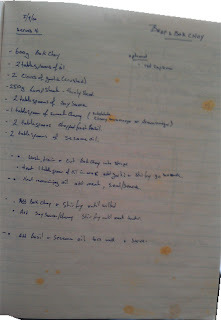 I like the oil splatters on the recipe .... shows how much it's been used.